Something new has been a brewin’ here in my kitchen and I confess that it’s kind of a mind blower. I have been diving into “clean eating”, and I must say, I am loving it! I have always been about healthy and real, but the “clean” thing I just didn’t get. Not being one to follow the crowd, I resisted the whole fad. I downright dismissed it as something that didn’t / wouldn’t fit with my food philosophy. I know, right, who in their right mind has a food philosophy?! For me, it’s really more of a gut take on food and strongly held beliefs about its place in my life from the pure pleasure of taste to the abstract notion of socializing around a good table. I am also an adamant resister of deprivation; and I perceived the whole “clean eating” trend as all about legalistic deprivation. So here is where I do the HUGE shout out to Francesca Gadaleta Giessmann and The Nourishing Seed. I met the lovely Francesca because our small people play water polo together. She invited me to her Spring Detox and it was at that moment that “clean eating” took on a whole new meaning to me. I GOT it. And the greatest thing is that she makes “clean” fun, delicious, and without deprivation. Let me just repeat that last tidbit – there is no deprivation. As I have been exploring the great recipes found in Francesca’s Spring Detox Guide, I have also been having a ball assessing some of my own new recipes and determining their “cleanliness”. Ha – I love that expression; just makes me think like Lysol and Clorox and not kale and halibut. Rather than my one recipe show that you usually get with each post, I give you a trio of fish recipes that are sure to please any clean eater. On the docket we have African Adobo Rubbed Tuna Steaks, Slow Baked Salmon with Lemon & Thyme, and Moroccan Halibut. 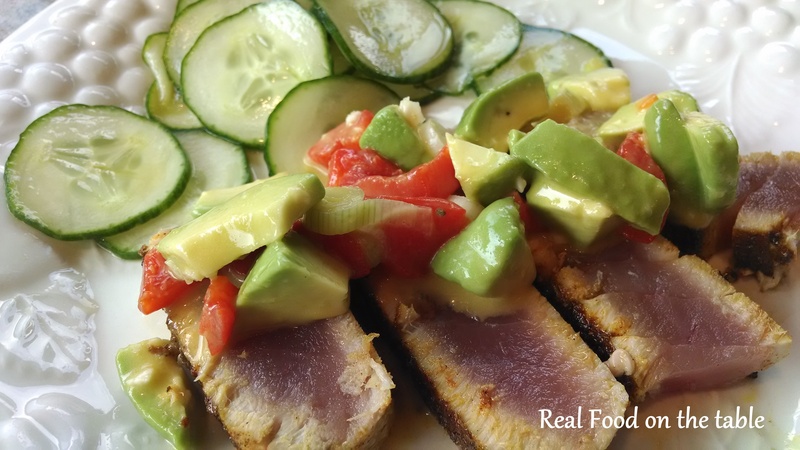 The African Adobo Rubbed Tuna Steaks have three main elements: the adobo rubbed tuna, a bed of English hothouse cucumbers, and a topping of avocado salsa. 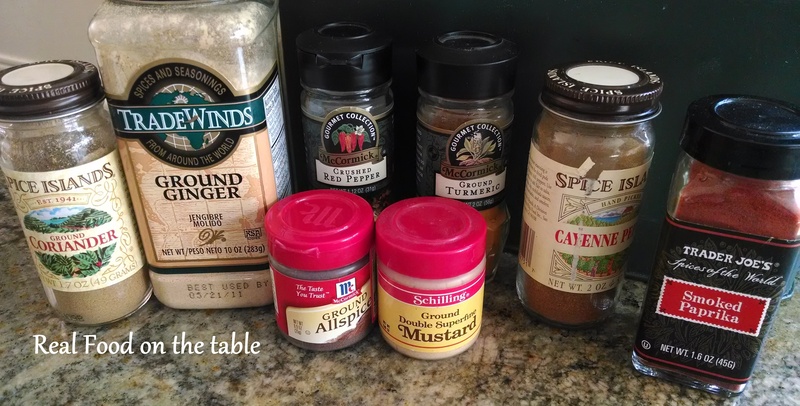 I started the adobo (a fancy name for spice rub) by mixing together a slew of spices. I put the rub aside and set to work on the salsa. 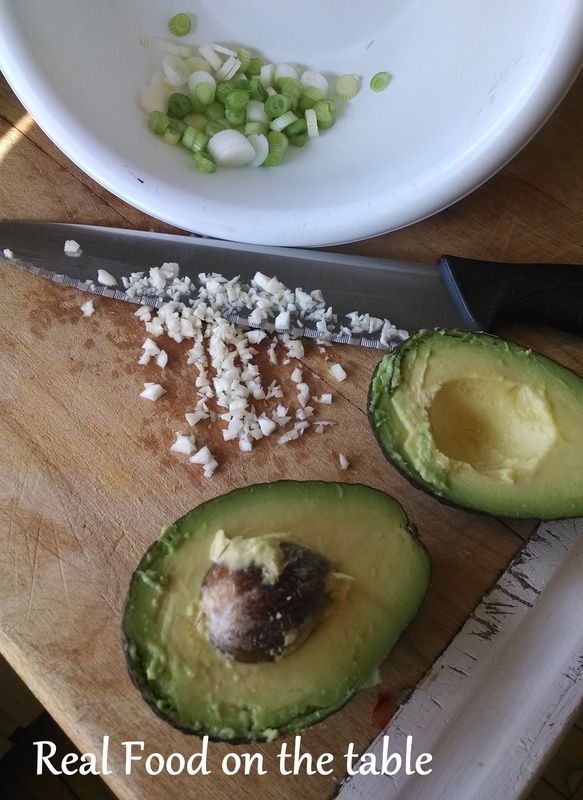 I diced 2 avocado, chopped some scallions and minced some garlic. 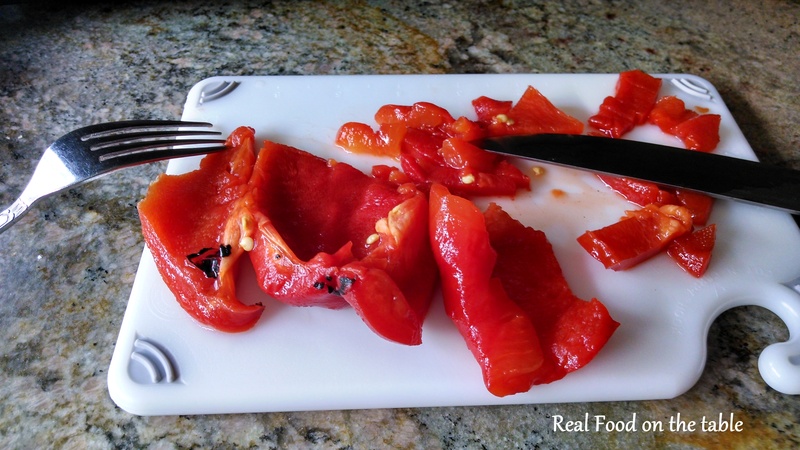 I then chopped up a couple of roasted red peppers and added them to the avocado mixture. I whisked together some fresh OJ, fresh lime juices, and some olive oil and seasoned that with salt and pepper. I poured that over the avocado mixture and set aside in the fridge. For the cucumbers, I whisked together some champagne vinegar and a tad of sugar (yikes, I know, but it was only a tad). Then I thinly sliced the cukes and tossed them in the vinaigrette. I let them stand for at least 15 minutes allowing the flavors to blend. 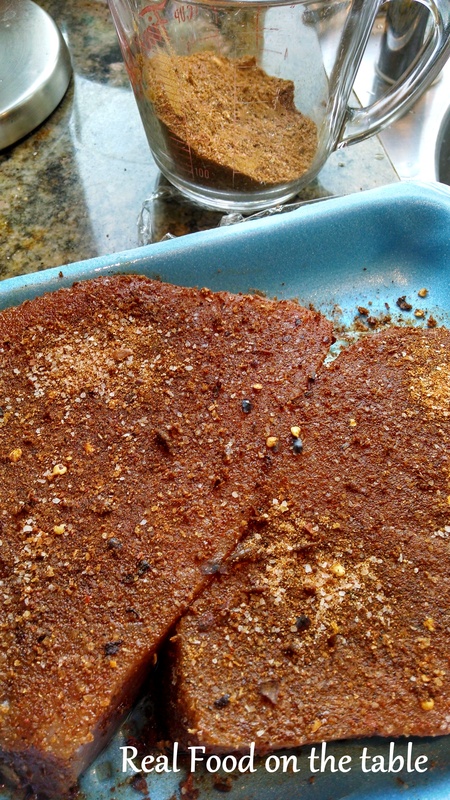 Back to the tuna, I rubbed the steaks with the adobo very generously. I heated a couple of tablespoons of olive oil in a large skillet until it was smoking and then added the tuna steaks – cooking only about a minute per side for a nice medium rare steak. I plated it all up by first putting down a bed of cucumbers, the sliced tuna steak to the side and then the avocado salsa to top it all off. On to our number two contender in the FishFest lineup – Slow Baked Salmon with Lemon and Thyme. This recipe is so easy it’s ridiculous, but you would never guess that from how tasty it is. I started by lining a cooking sheet with foil and preheating my oven to 275 degrees. 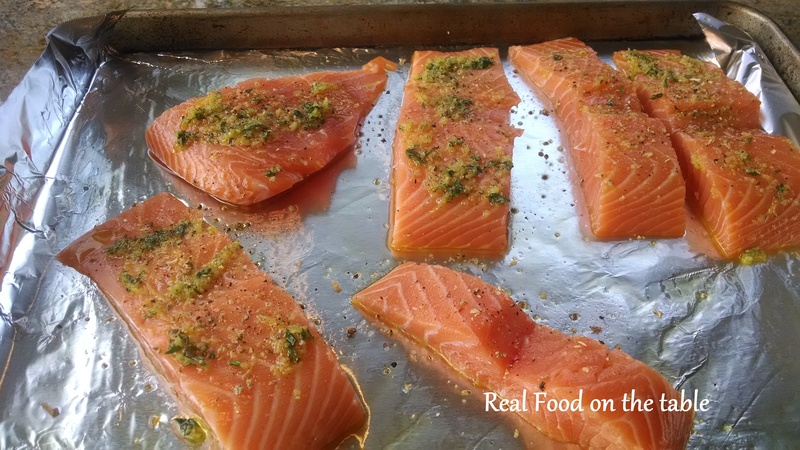 I brushed the foil with a little olive oil and placed the salmon filets on top. Then I mixed a little more olive oil, some chopped fresh thyme, and some freshly grated lemon zest. I spread the thyme – lemon mixture over the salmon fillets and then seasoned with salt and pepper. I let that stand for about 10 minutes for the flavors to permeate the salmon and then baked about 17 minutes. I served this up with some polenta topped with steamed spinach and goat cheese and some roasted carrots. Last up on our roster is the Moroccan Halibut. 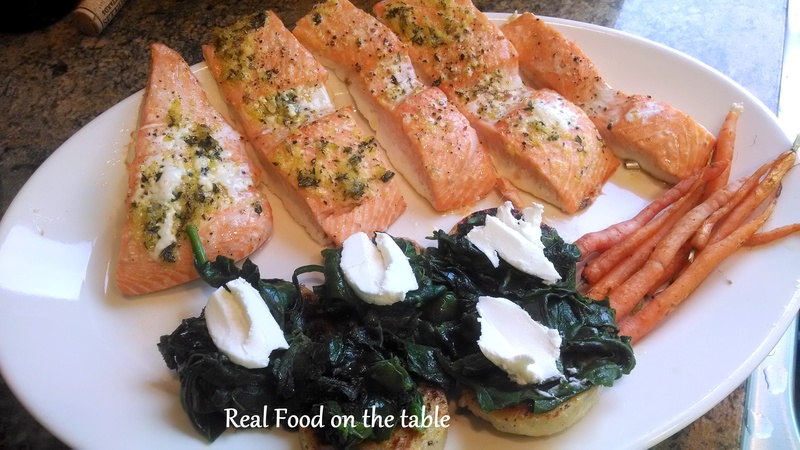 This one, like the salmon, is so easy and yet so flavorful. 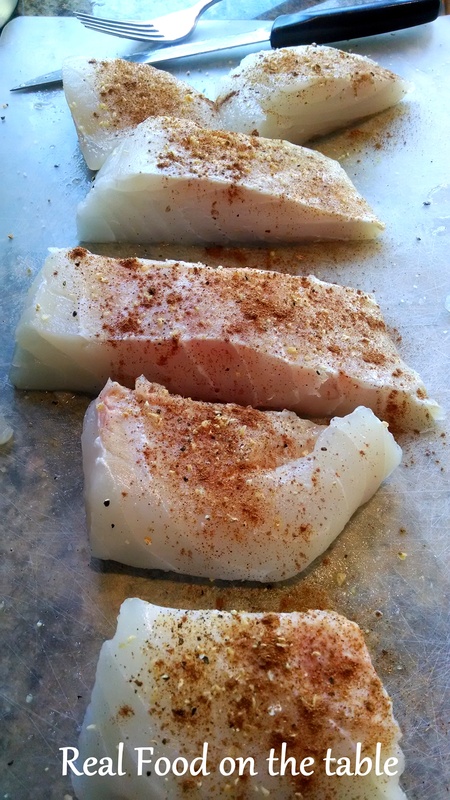 I started by just sprinkling both sides of the halibut with salt and pepper. Then I generously sprinkled the fish with cayenne pepper and cinnamon. 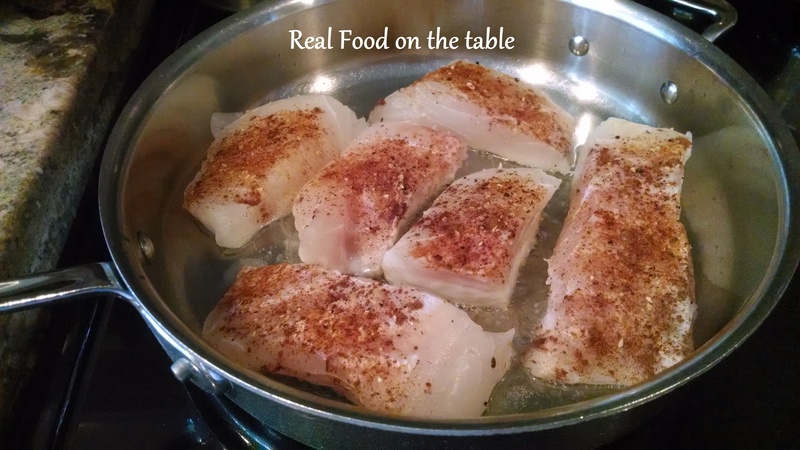 I then heated a tablespoon of coconut oil in a large skillet, added the halibut, and sauteed until golden and opaque in center; about 4 – 5 minutes per side. 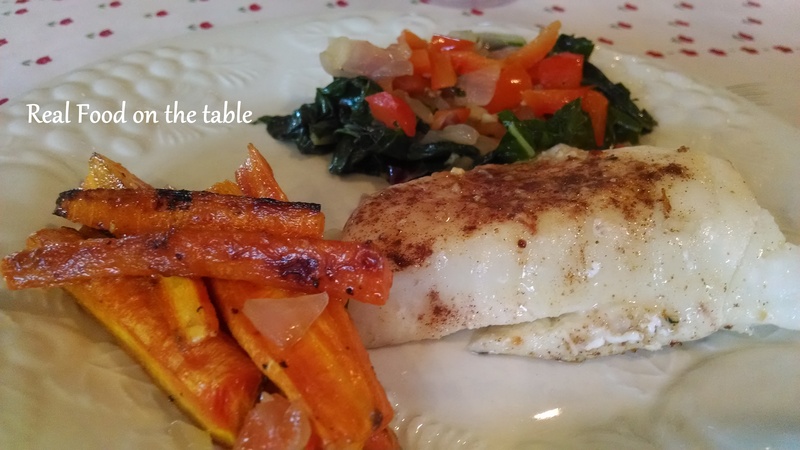 I served this one up with swiss chard (a great recipe from The Nourishing Seed) and roasted carrots (yes, we love our roasted carrots ’round here). 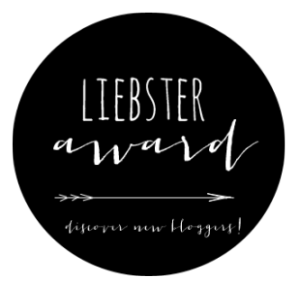 ← An Award – and it’s for me, not one of my small people!